Hebei Peliou New Materials Technology Co., Ltd.
Henan Okay Plastic Industry Co., Ltd.
Tangyin Sanyou Engineering Plastic Co., Ltd. 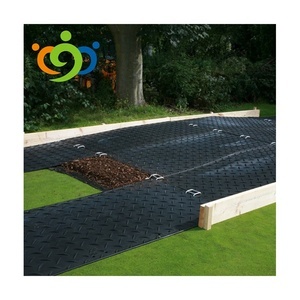 The ground mats provide temporary access and a firm support base, the mats can be used on landscaped turf, mud, sand, tarmac, uneven ground and many other difficult surfaces. 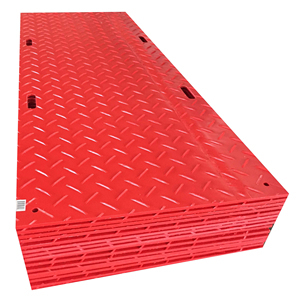 We offer a hire and sales service for ground mats nationwide, for a full technical specification click on our download section or call our contracts department. Create temporary roadways for all types of vehicles and equipment or large work pads for drilling, administrative compounds, bone yards, temporary flooring, and other industrial application. 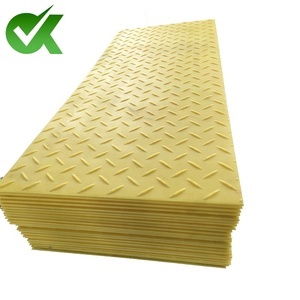 Usage uhmwpe ground protection system mats are for protecting the floor from destorying. 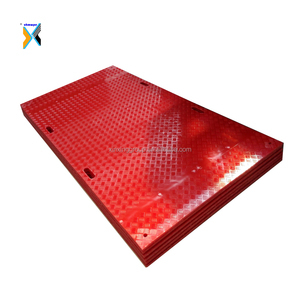 The advantages of uhmwpe ground protection system mats: 1 . 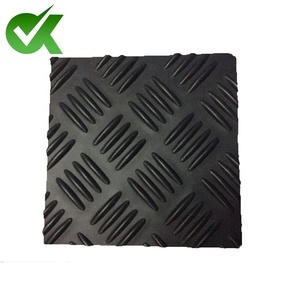 Suitable for extreme weather conditions and most ground conditions ; 7 .
pe material plastic construction temporary road mat HDPE Ground Protection Mats are made from HDPE composite material. 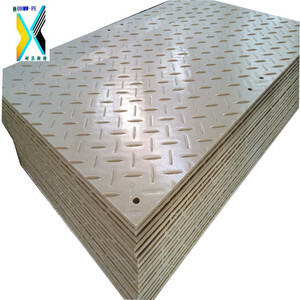 pe material plastic construction temporary road mat HDPE Ground Protection Mats are an ideal solution to the expensive problem of repairing ground surfaces or repeatedly replacing expensive plywood sheets. 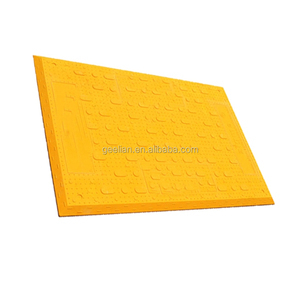 pe material plastic construction temporary road mat HDPE Ground Protection Mats can be used to build temporay roadways, walkways, work platforms or parking areas. Dezhou Wanhong Composite Materials Co., Ltd.
Henan Yiqi Plastic Products Co., Ltd.
Henan Ruiyun Wear-Resisting Material Co., Ltd.
Tangyin Xinxing Plastics Engineering Co., Ltd. It can offer a strong, stable uniform surface for a variety of industrial and construction applications. The system is easy to install, remove and re-install when it will be moved from one location to another. We control our quality from raw material to the processing process in every aspects . Dezhou Shengtong Rubber & Plastic Co., Ltd.
Qingdao Oriental Geo-Tech New Materials Co., Ltd.
Anyang Virt Plastic Industry Co., Ltd.
Qingdao Aupto Polymer Tech Co., Ltd.
Tangyin Dingyuan Engineering Plastics Co., Ltd.
Henan Sanyou Plasticizing Engineering Development Co., Ltd.
hdpe road mat / mobile outrigger pads / safety construction equipment look forward to receiving your inquiries! They can be used to stabilise outriggers, crane arms, scaffolding structures, uprights and angled loadings. Strict quality control is implemented in all aspects of operations to meet the high standards of top-tier customers. Suzhou Huizhong Electronic Equipment Co., Ltd. Product Features For improving service life,half stalk and planet gear be made by POM instead of copper,At the engine fuel system,components for hose valves and case cover of radiator,cooling fluid's standby case,water valve,oil box' cover,pump impeller,shell of gasification machine and accelerator pedal . At the engine fuel system, components for hose valves and case cover of radiator, cooling fluid's standby case, water valve, oil box' cover, pump impeller, shell of gasification machine and accelerator pedal and so on. Agricultural machine: part of manual sprayer, joint and transport part of seeder, parts of milk machine, shell of irrigation and drainage, valve, joint and bush of water and so on. Because of its chemically inert and non toxic feature, grass grid allow the drainage of stormwater back into the underground soil. Except for greening, the grass grid is also designed as a sustainable solution for areas of both heavy and light traffic. During installed, the grass grids can be filled with grass or gravel surface and allow full rainwater penetration. During this process we carefully analyzes every step to ensure that our customers always to receive the best quality products. We carefully analyzes every step to ensure that our customers always to receive the best quality products. Further More, we have a completed testing equipments for checking materials physical performance and chemical properties. Qingdao Sunsoar Tech. 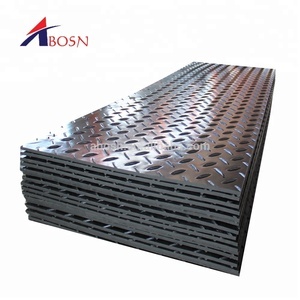 Co., Ltd.
Alibaba.com offers 6,598 hdpe road mat products. About 90% of these are plastic sheets, 1% are mats & pads. A wide variety of hdpe road mat options are available to you, such as free samples, paid samples. 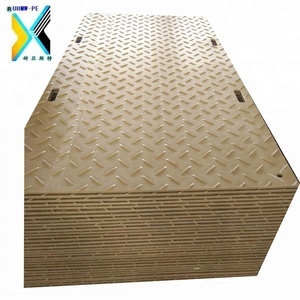 There are 6,598 hdpe road mat suppliers, mainly located in Asia. The top supplying countries are China (Mainland), United Kingdom, and Greece, which supply 99%, 1%, and 1% of hdpe road mat respectively. Hdpe road mat products are most popular in Southeast Asia, North America, and Domestic Market. You can ensure product safety by selecting from certified suppliers, including 5,607 with ISO9001, 560 with Other, and 42 with ISO14001 certification.